Churches often need to ask for donations for money for special projects or items that are not in the regular church budget. Asking for donations tactfully can be challenging, yet necessary for the financial well-being of the church. 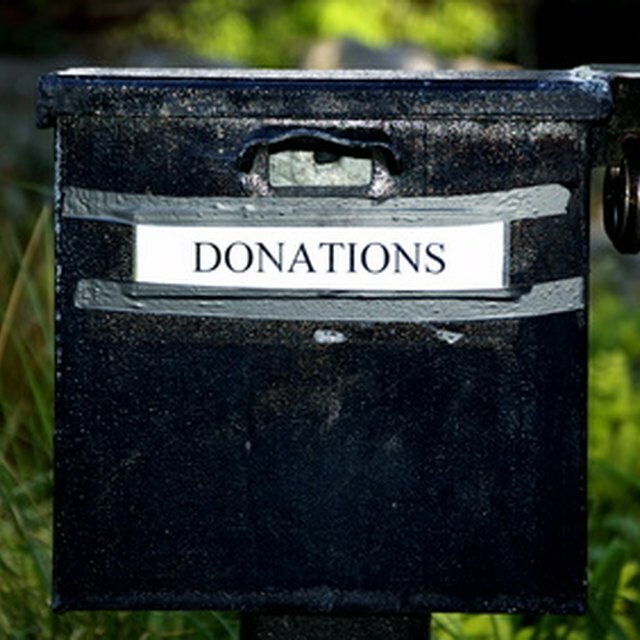 Solicitors can ask individuals or businesses for cash or product donations, either in person, in writing, through emails or through phone calls. Introduce your church and its community ties. Play up its features; promote even those things that seem negative at first glance. If the church has only been in the community a short time, explain church goals for community involvement and the plans you have to accomplish your vision. Outline accomplishments in recent years. Ask clearly and specifically for contributions. This can be in terms of specific amounts of money, help with technology, discounts or donations. Explain why you need the donation. Clarify how your church will benefit from contributions and why you need business support. Explain what you will do with the money or donation you receive from the business. Elaborate on the benefits the business will receive through the donation. In addition to the intrinsic feeling of doing good for others, the business will show community support. Church members, in turn, will be more likely to support that business. Emphasize other ways the church can highlight the business, such as promoting the business in the bulletin or inclusion in the church business directory. Remember to be understanding and courteous with donors. Even if they do not make a donation, thank them for their time. You want to make a good impression. Be creative so your request can move to the top of their list. Phone calls offer a personal touch, yet save you the time of driving all over town. Remember to use proper phone etiquette. Introduce yourself and use a script, if necessary, to be able to state your case clearly and convincingly. Letters should include contact information, specific dates and a title. Adding a P.S. can sway on-the-fence donors toward making a commitment. Follow-up shows your involvement and commitment to making the project a success. Do not be pushy or aggressive. Instead, be cheerful, accommodating and quick to express gratitude for your contact's consideration. Such an attitude could very well work to your benefit if you decide to try again in the future.